London is burning in this classic wartime account of the blitz during Luftwaffe bombing raids. 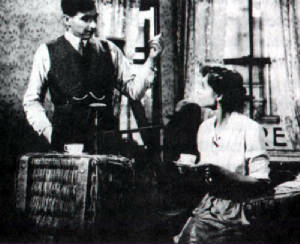 Fires Were Started is a dramatised paean to the men and women of the Auxiliary Fire Service made by the Crown Film Unit during W.W.II.and directed by Humphrey Jennings. 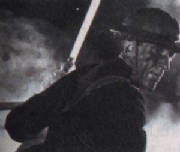 This film is considered, along with Listen to Britain, to be Jennings' masterworks of the wartime phase of his career Fires Were Started is no gung-ho propaganda piece: it simply records the everyday lives and acts of courage of seven fire-fighters and their new recruit over a fictional 24-hour period. 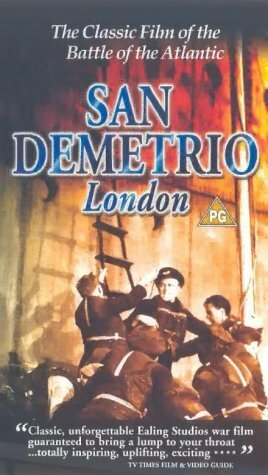 The film begins during the day as the unit gather from their varying walks of life at the fire station, prepare their apparatus, participate in training, inspect the daytime bombing damage caused in London, and socialise together as night begins to fall. The sound of an air-raid siren and anti-aircraft fire signals the beginning of the bombing raid, and promptly the unit is called out to attend to some incendiaries that have fallen on a warehouse. We follow the firemen as they fight the blaze through the night until day breaks and the all-clear sounds. 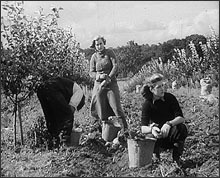 deserts the Army to return home.